Here we go with part 8. 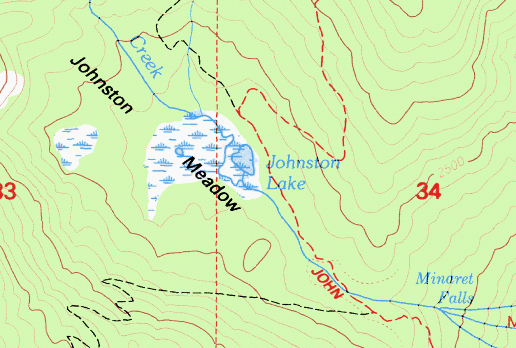 JMT is in green; the Red’s Meadow complex within the blue circle. The Rainbow Fire. 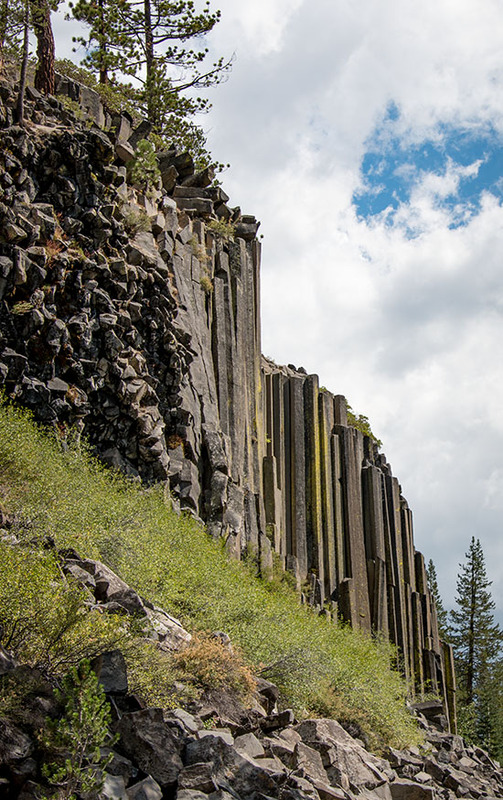 The Rainbow Fire (named for nearby Rainbow Falls) started on August 20, 1992, after lightning struck about six miles south of the Devils Postpile. It was a very large and very high intensity fire due to the fire suppression efforts of the decades prior to the lightning strike. 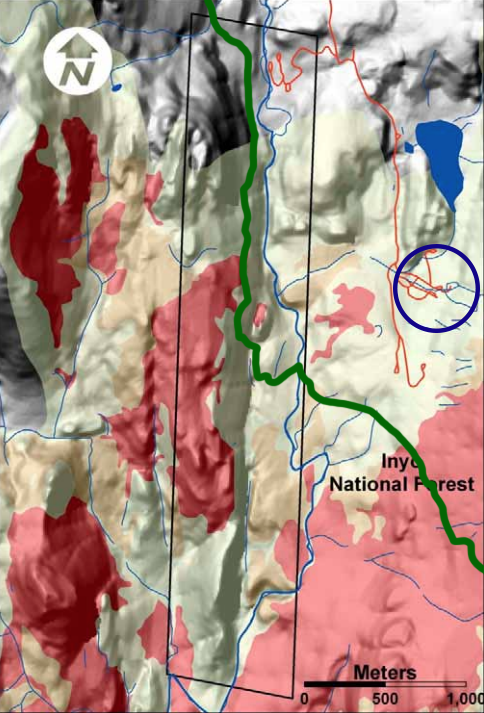 In the illustration above, the red areas show where less than 10% of the original vegetation remained after the fire. 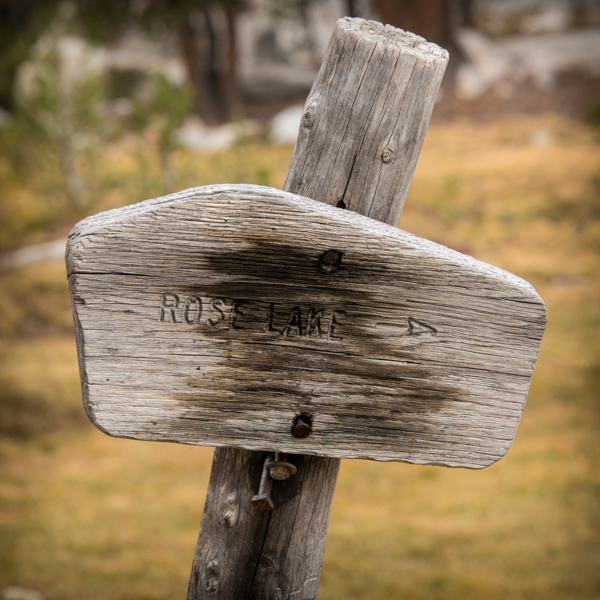 If you are planning a southbound 2019 JMT hike, you’ll not notice the after effects of the fire until you leave Red’s Meadow, and then you will be out of the burned area within a couple of hours. Red Cones. I’ll bet you can guess this one. These two terrain features are called the Red Cones because they are red and because they look like, well, cones. I could find no evidence to support the rumor that they were named by the California Transportation Department after the cones they put up in construction areas. They are as volcanic in origin as they look, and last erupted about 5,000 years ago; surprisingly, there is still enough CO2 being emitted that it affects tree growth, though it is not dangerous to humans. Climbing to the top of either is a pleasant enough side trip if you are interested. 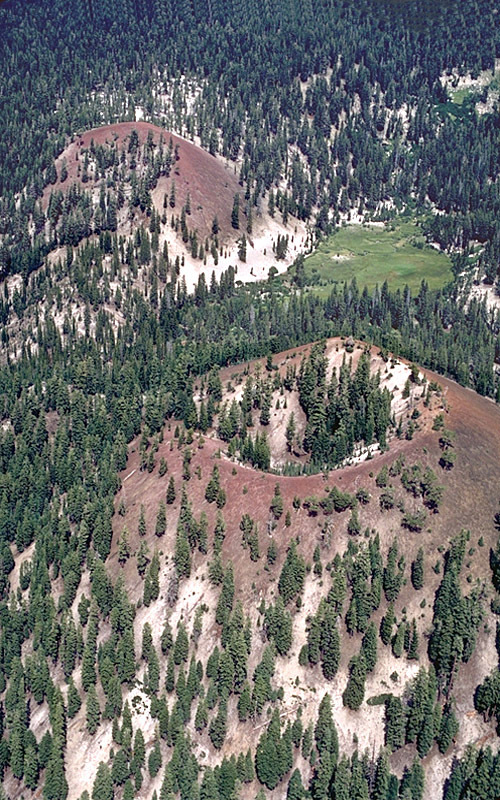 Crater Creek and Upper Crater Meadow. Probably named for the craters at the top of the nearby Red Cones (though we do not know who named them), Crater Creek and Upper Crater Meadow first appeared on a map in 1901. Purple Lake. 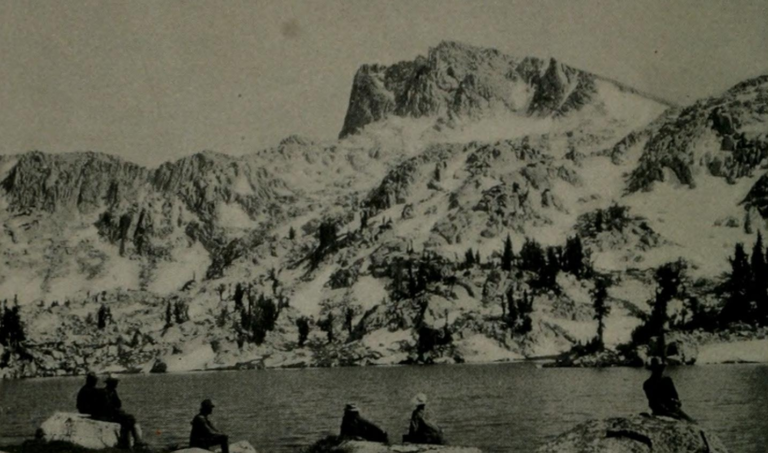 From Genny Schumacher Smith’s 1976 book, The Mammoth Lakes Sierra: “From the outlet of Duck lake the trail drops down to join the John Muir Trail, then rounds a granite slope to Purple Lake. Many-hued rocks reflect into its water, giving it a purple tint at certain times of day. 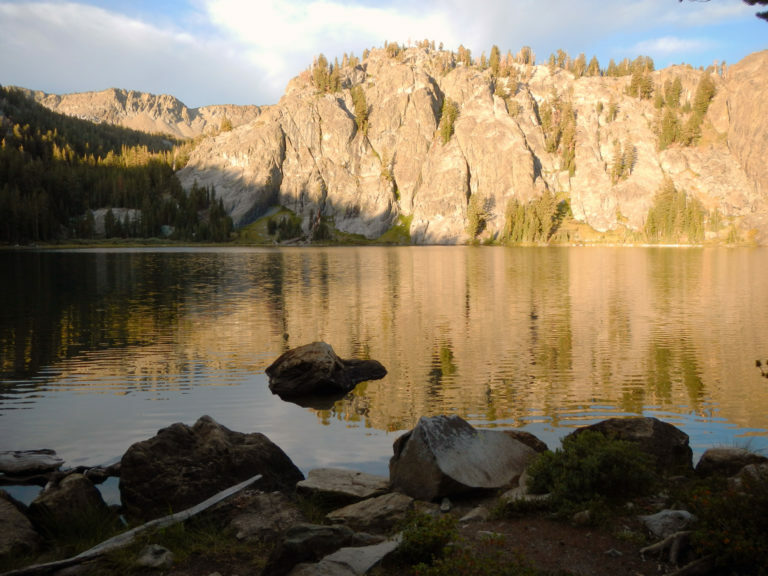 These are some of the ancient metamorphic rocks…” Purple Lake is a popular camping spot the first day out of Reds Meadow, though I prefer Lake Virginia, a few miles farther. It can also have an abundance of mosquitoes early in the season. 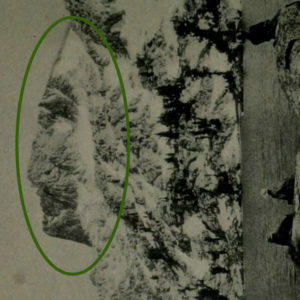 The name first appeared on a map in 1914. Ram Lake. 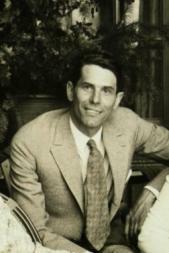 The lake was named in 1948 by William A. Dill of the California Department of Fish and Game. Dill felt the name was appropriate because the lake was near Bighorn Lake. Here we go with part 4. Dana Fork of the Tuolumne River. 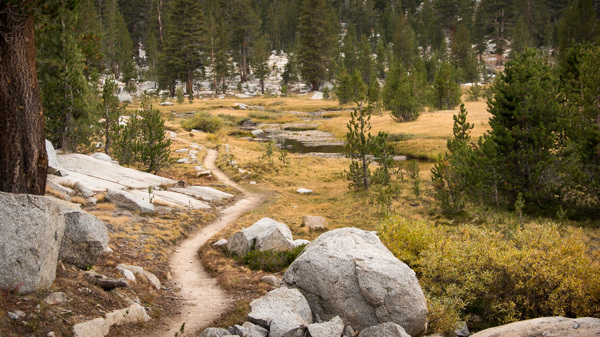 The Dana Fork of the Tuolumne River is a short tributary that runs north of the John Muir Trail and parallel to it. 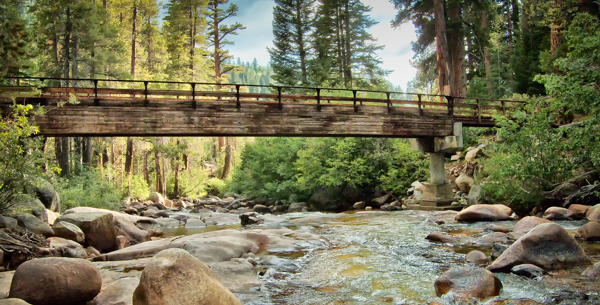 If you stopped at the Tuolumne Lodge, when you return to the trail (from the lodge parking lot) the first bridge you cross spans the Dana Fork. 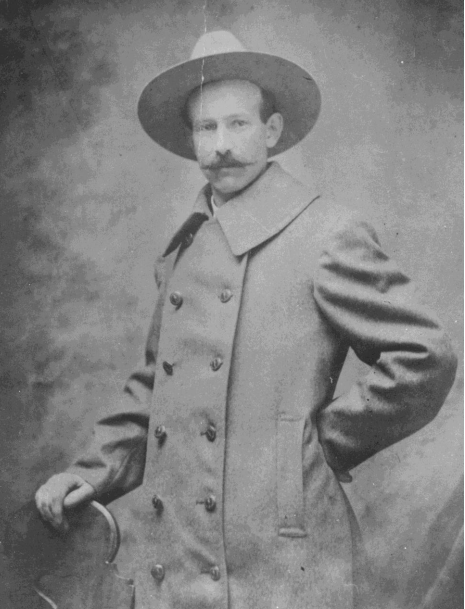 The fork, as well as Mount Dana and Dana Meadows, was named for James Dwight Dana, an eminent Yale geologist who did his most famous work farther north around Mount Shasta, and – of interest to current and former kamaaina, like me – Hawaiian volcanoes. I could find no evidence that Dana ever visited Yosemite, but then I’m quite sure he never visited either the Moon or Mars, and he has a ridge on the former and a crater on the latter named for him. 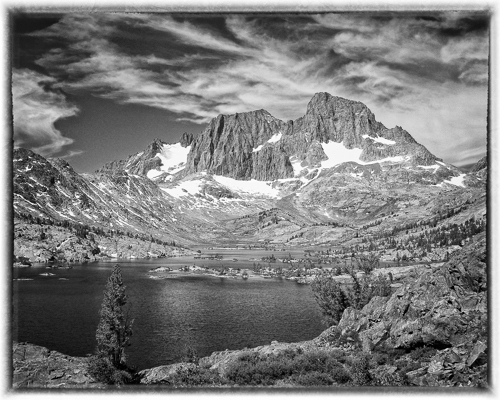 Lyell Fork of the Tuolumne River. 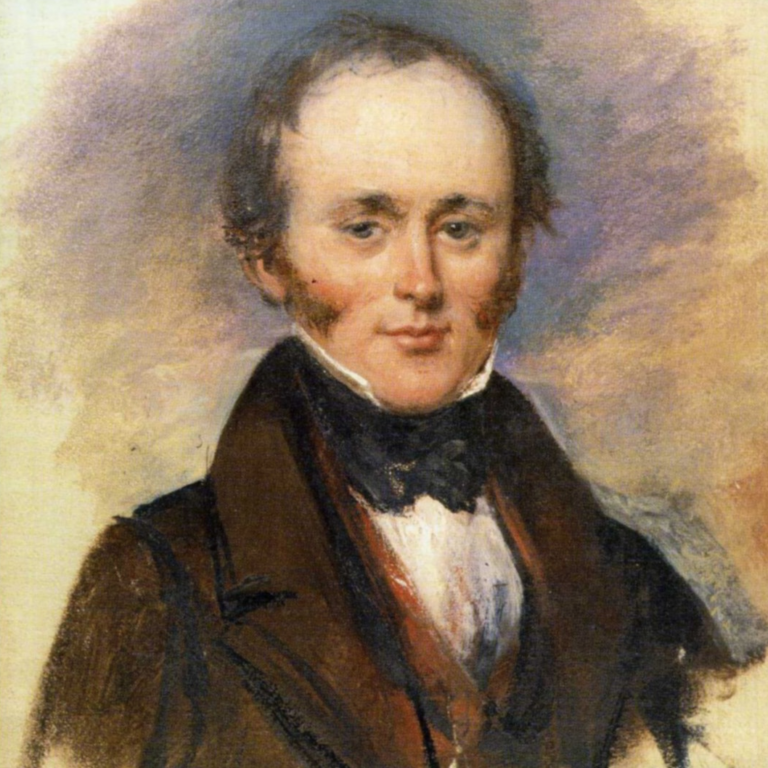 Staying on the theme of famous geologists, the Lyell Fork, and Mount Lyell, are named for Sir Charles Lyell – a Scot who was a friend of Charles Darwin and was widely recognized as one of the most accomplished European geologists of his time. 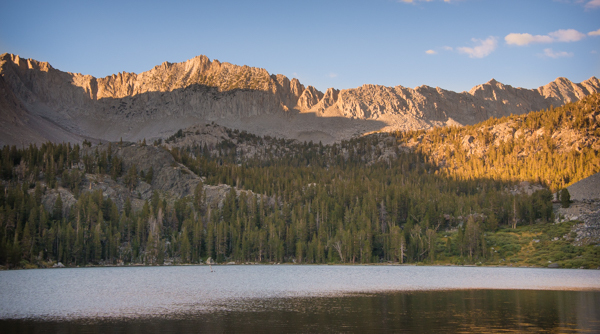 Mount Lyell is the tallest peak within the confines of Yosemite National Park, but more than a 1,000 feet lower than the highest point on the John Muir Trail. 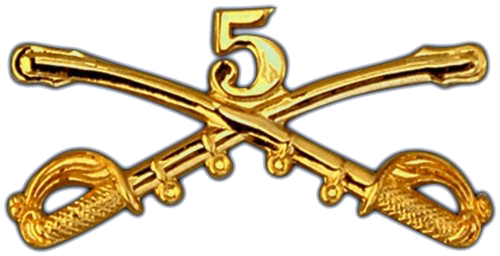 Kuna Crest & Kuna Creek. 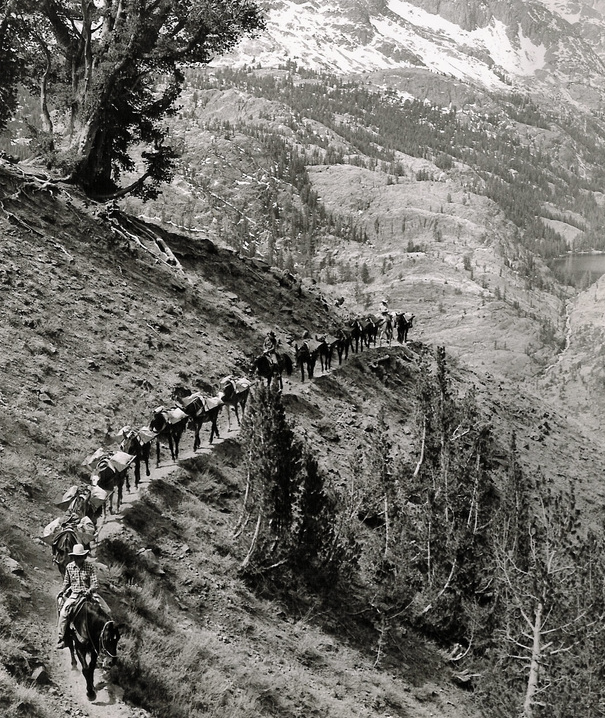 The crest was named in 1883 by Willard D. Johnson (another geologist) and comes from a Numic word meaning fire. Potter Point. 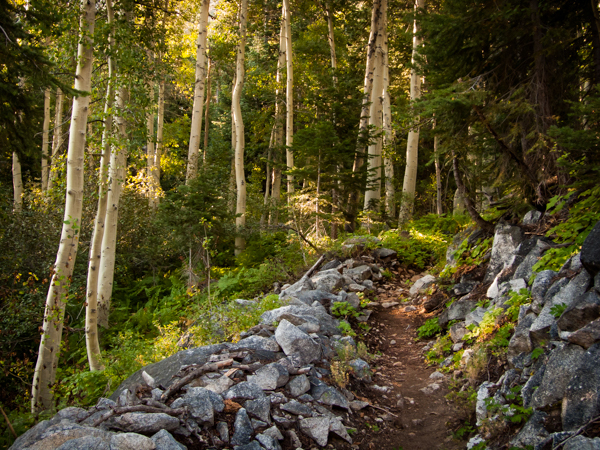 Potter Point is just north of Amelia Earhart Peak and rises to 10,732 feet. 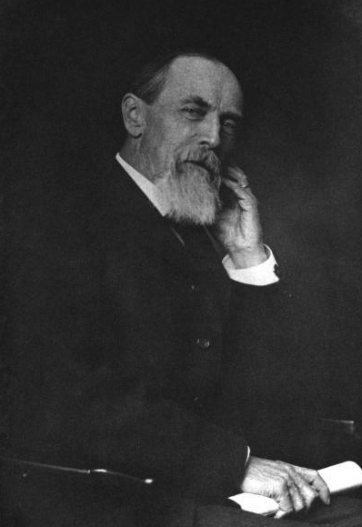 It is named for Dr. Charles Potter, a physician from Boston and an Army doctor. 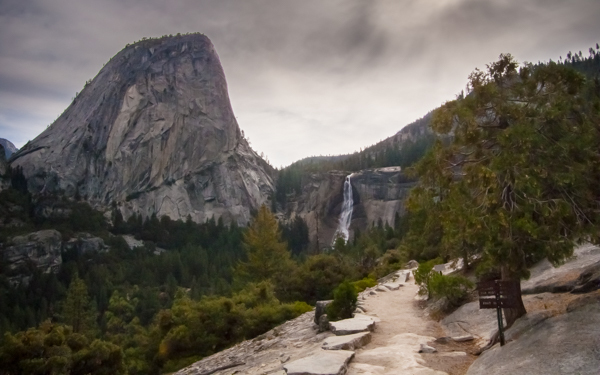 It was named in 1909 by the US Geological Survey. Donohue Pass. 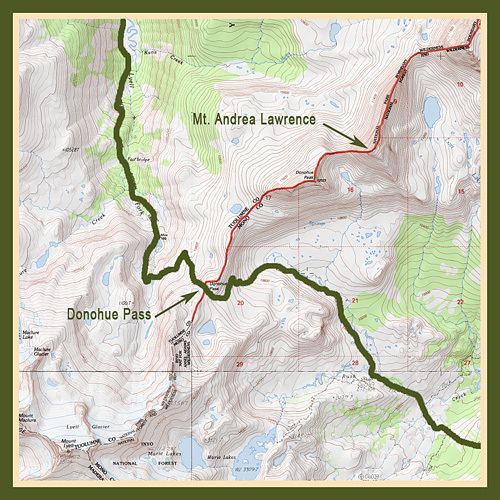 You’ll likely reach Donohue Pass on the third, fourth or fifth day, if you begin at Happy Isles. 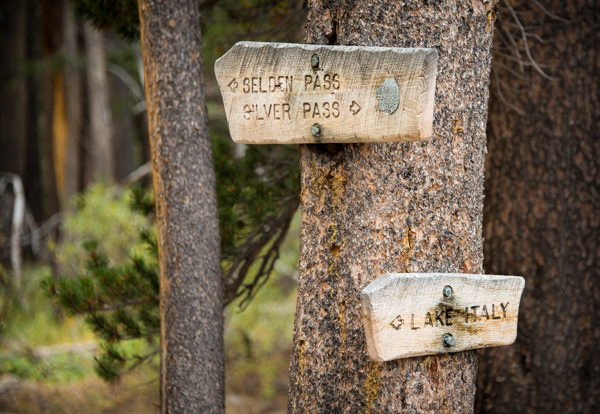 The pass is about thirty-seven miles from the northern trailhead, and is just tough enough to give you a confidence boost, while at the same time easing you into this whole “pass-climbing” routine. Part 2 is here. Here we go with part 3. 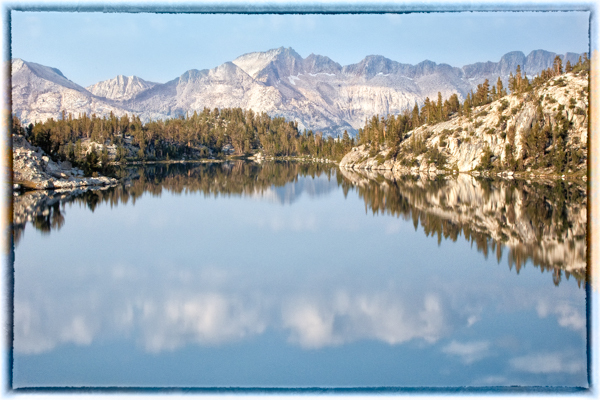 Cathedral Peak & Cathedral Lakes. The peak was named by the California Geological Society in 1863, and the first recorded ascent was in September of 1869 by…John Muir! The lower and larger of the two lakes took the name Cathedral, from the peak. The name was applied to the upper lake some years later. 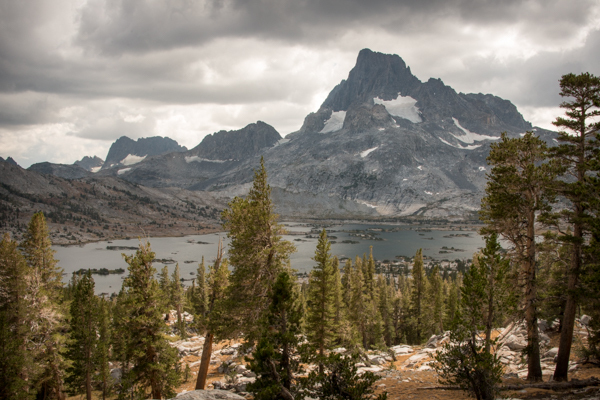 The small, granite peninsula jutting out into the smaller, southernmost lake (in the photo, above) is one of my favorite spots on the JMT, and there are some good campsites a hundred yards or so south of it. Tuolumne Meadows with Lembert Dome in the background. 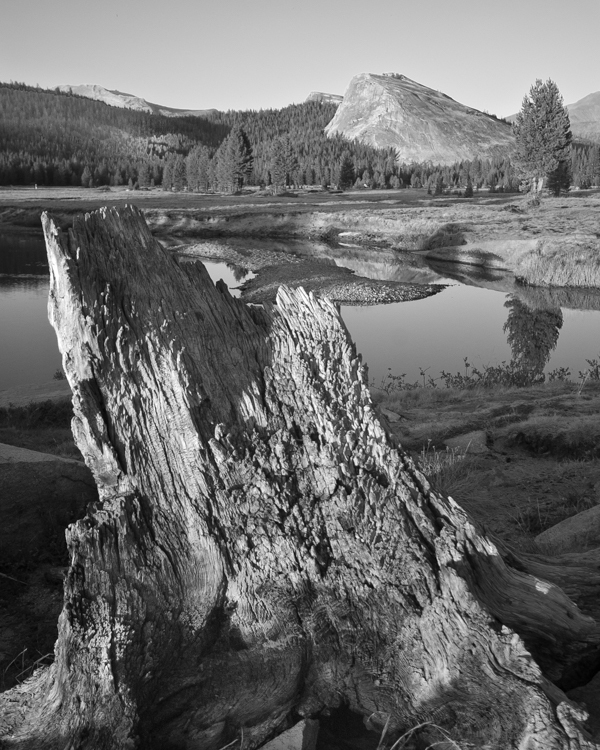 Tuolumne Meadows. 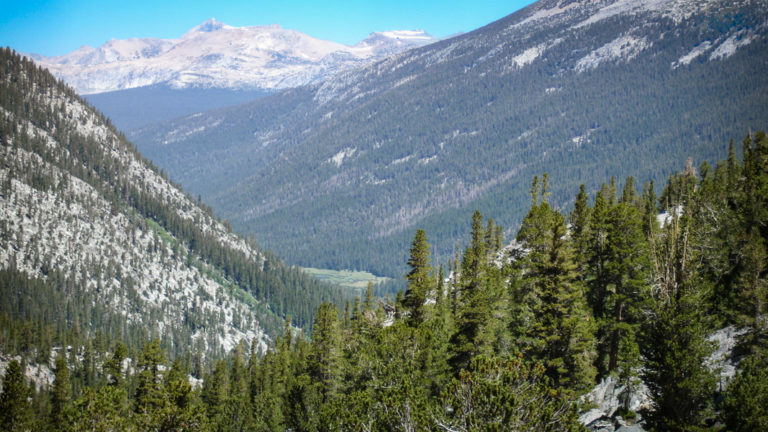 The JMT route I subscribe to stays on the south side of the Tioga Pass road, so technically, you will not enter Tuolumne Meadows. But you will certainly see it. 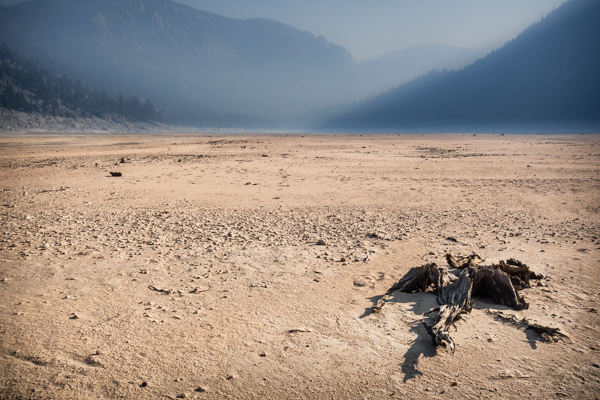 The meadow gets its name from the same place as the Tuolumne River: the Indian tribe known as the Taulámne. The current spelling first appeared on a map in 1849. Interesting, the Tuolumne River was previously named the Delores by Spanish explorers, but the name did not stick. Lembert Dome. 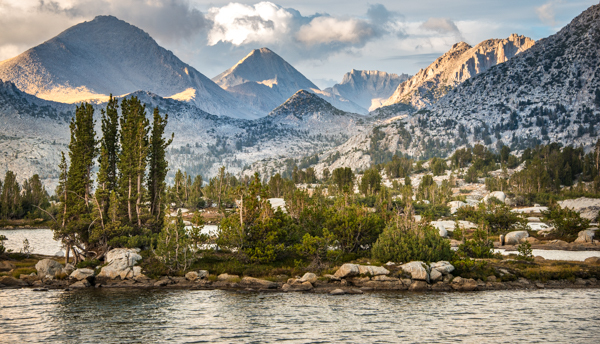 This granite terrain feature is also north of the Tioga Pass Road, but is impossible to miss. 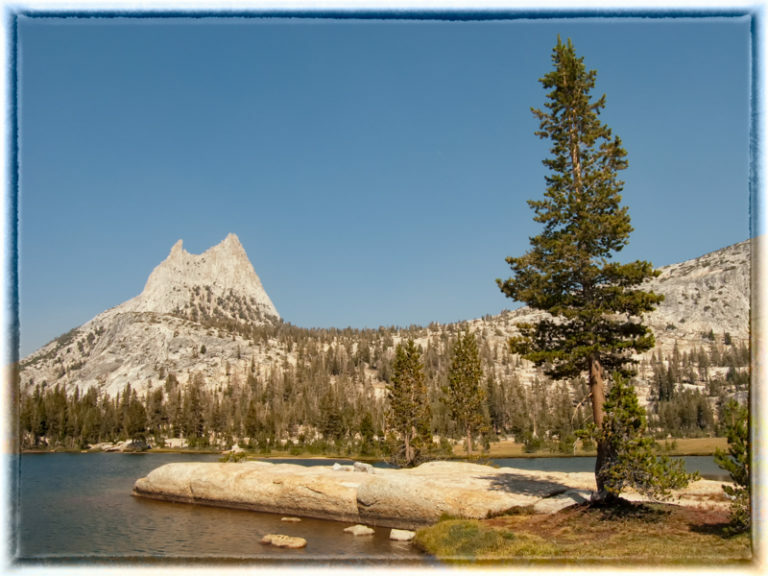 If you are looking for a short hike with a high return-on-hiking-investment, perhaps while you acclimate before you begin your JMT hike, the trail is easily done in a morning or afternoon, and the view is from the top is panoramic. 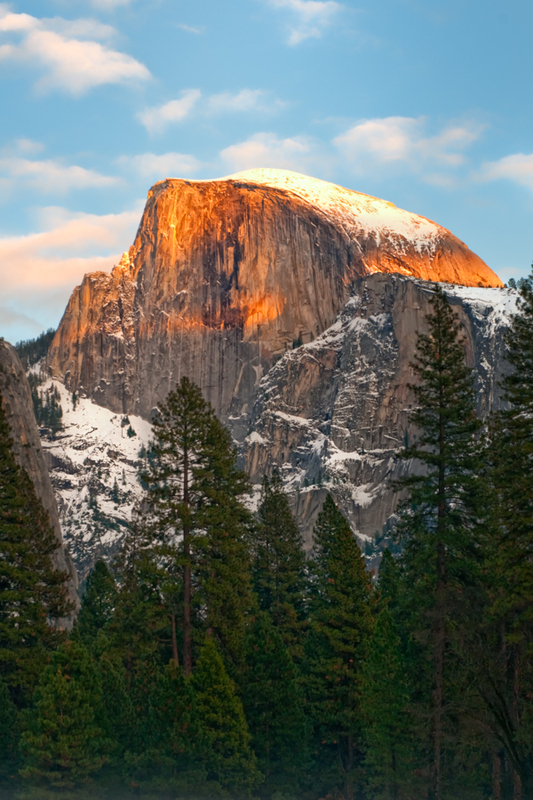 The dome was named for Jean Baptiste Lembert, who moved to Tuolumne Meadows sometime before 1882 and lived there for several years before he was murdered (the crime was unsolved) in the winter of 1896-97. Initially Lembert raised goats, but when a snowstorm killed his trip he turned to collecting butterflies. 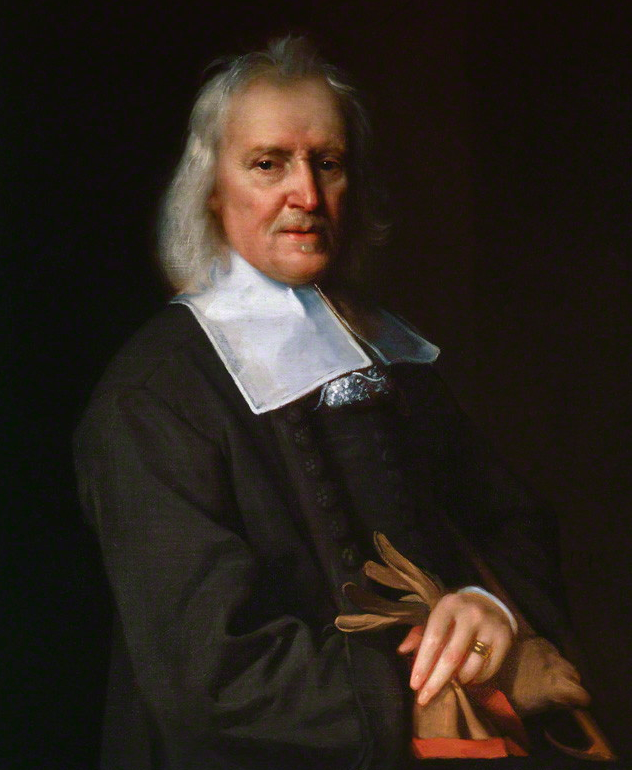 Two insect names recognize his work, the Gazoryctra lembertii (a brown moth) and Callophrys sheridanii lemberti (a green butterfly). 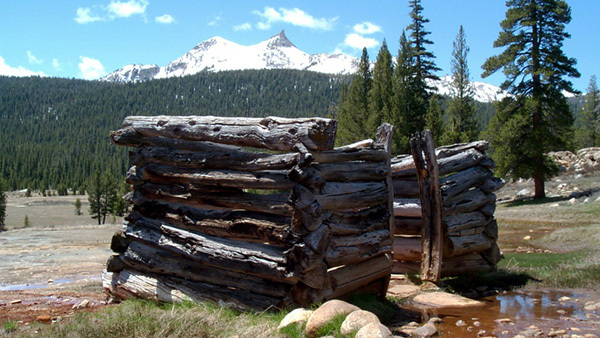 Amazingly, the cabin that Lembert built is still partially standing (see photo, above). 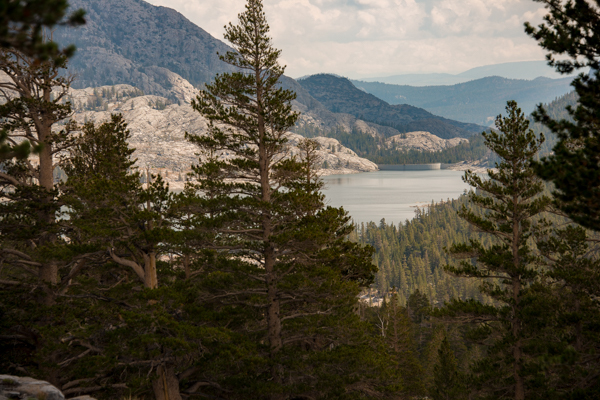 Tioga Pass Road. The road, of course, is named for the pass. 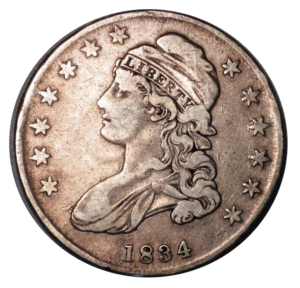 The name has an Indian provenance, but actually comes from the Iroquois – not a tribe associated with the Sierra Nevada. 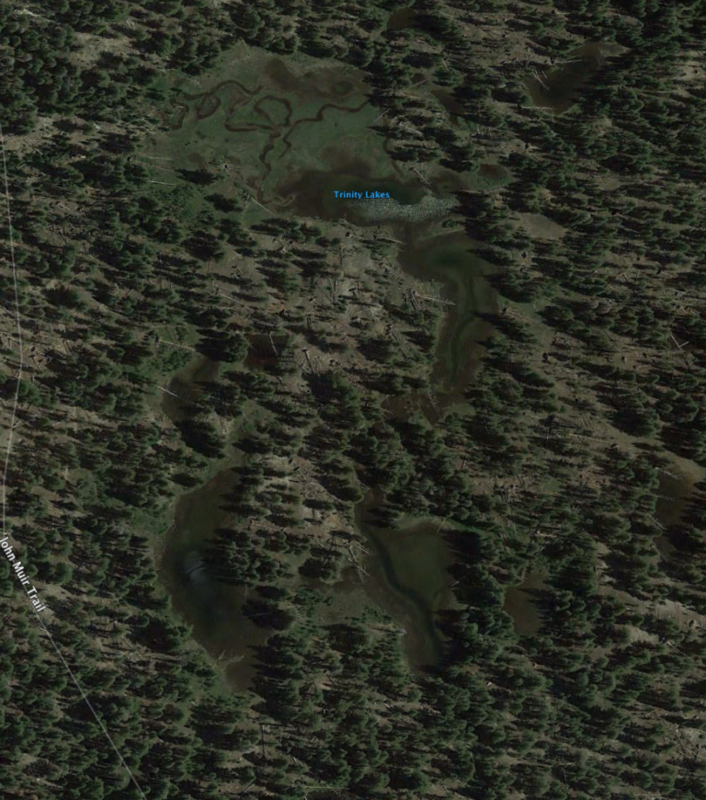 One might also expect the pass to be near the Tioga River, but wrong again. There are three rivers in the United States that carry the name, but one is in Michigan, one is in New Hampshire, and one winds through New York and Pennsylvania. There was a Tioga Mine in Yosemite; perhaps one of the miners, or owners, was from a place in the east where the name “Tioga” was used? Nevertheless, the name seems to have migrated from the mine to the pass to the road.